Enemy Mind is a game being developed at Schell Games in Pittsburgh, PA. Schell occasionally does an internal game jam, and allows employees to work on their own independent game projects for a week. Enemy Mind was the brainchild of engineer Mike Traficante, and after a debut at the jam, was selected by the studio to receive further development. It was Greenlit on Steam and is already available through Early Access. This is one of those situations where I can’t reasonably write a game review, but I definitely want to give readers some impressions. Why can’t I review? First of all, the whole Early Access situation precludes a full review. But mostly, I used to work at the company that made this game, so I’ve known about its development for a while. I got to see it when it was still a baby. The game won a Best in Play award at GDC this year and I tried it out on the show floor. But I was also lucky enough to receive a press copy of the game so I was able to try it before the show. Well, more specifically, I think I got the only press copy of the game. So there’s that. Now let me tell you about it! The hook of the game is pretty simple: it’s a left-to-right auto-scrolling space shooter, but there is a twist. Every ship has two methods of attack: whatever its standard weapon is, and a “capture” bullet that lets a player switch control of the current ship to whatever ship it happens to strike. In other words, strike a ship with the capture bullet, and become that ship. 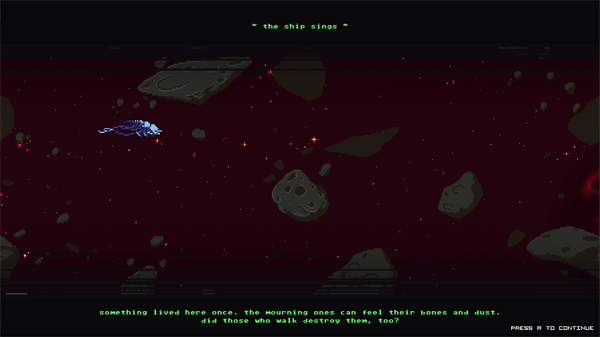 The player is no particular ship, but, rather, a sort of consciousness that floats from ship to ship throughout the game. Different ships have different strengths and weaknesses. Some are more durable than others. Others have better weapons with wider spread attacks. Ships have limited ammunition, and when a ship runs out, it’s helpless, forcing the player to leap to another ship to continue to fight. Rack up enough kills without getting hit to get a score multiplier, and higher scores to get extra lives. But Enemy Mind is more forgiving than a Bullet Hell style game, as most ships can take more than one hit before they go down, and swapping from ship to ship in a pinch just requires one good hit from the boomerang-like capture weapon. The result is a lot of satisfying little scenarios, like ejecting from a ship just as it’s about to blow up, or making a quick series of death-defying leaps to evade a tricky pattern. There are also some less-satisfying, but funny scenarios, like getting blown up by the ship you just ejected from. Or firing on a ship and suddenly realizing that you hit an asteroid instead. (When that happens, congratulations, you are now an asteroid.) 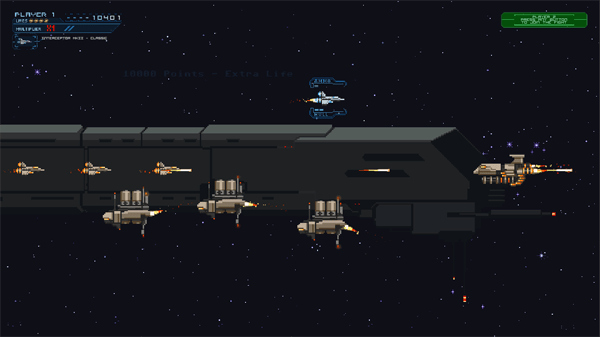 The game also has local multiplayer, for up to four players at once, which leads to a lot more chaotic scenarios as every player jockies for the best possible ship to inhabit. 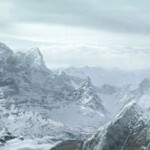 The game has a story, though it’s very unobtrusive. It unfolds as as the game progresses with short lines of dialog every time a battle wave is over. Humanity is at war with an alien species called the Aratus. The Aratus think very differently from humans, speak lyrically, and have organic-like ships. Human characters speak in a crisper, military fashion, only occasionally waxing poetic about their lives before the war or people they have left behind. Possessing different ships at different segments can give a different perspective on the story as it unfolds, and the story adapts somewhat to what ship the player is occupying. Whatever you are, you don’t seem to be on anyone’s side, a mystery that unfolds as you play. If you’re looking for a twist on the old space shooter formula, check it out now in Steam Early Access. Or, if you’re the type that would rather wait for a final release candidate, it probably won’t be very long. There’s also a soundtrack available on Bandcamp, created by chiptune artist Rainbow Kitten. Enemy Mind is in beta primarily for balancing issues, particularly in the final boss waves. The game might not be too difficult for genre veterans, though for me the difficulty spikes a lot around the third level (the level where asteroids are introduced and it’s easier to accidentally become helpless). But the more I play, the better I get, and the more I play, the less I want to stop. Been meaning to read this for a while, but Enemy Mind sounds terrific. I love the swapping mechanic and especially how there’s ammo for each vessel so that encourages you to keep moving and switching. The story sounds like it could be really interesting though with the taking on of different perspectives with each vessel you swap into. I’ve got to admit, I’ve a soft spot for horizontal shooters, whether it’s R-Type, Hydorah or X-Out. Sine Mora had a mind-blowing story (I almost finished it but couldn’t beat one of the final levels annoyingly) but the game itself was a bit too unforgiving with its sloppy hit detection and a nasty negative feedback loop once you started losing lives. I think that’s a game I ought finish off by watching a Let’s Play. Anyway, thanks for posting this Amanda, consider it wishlisted. Oh and local co-op is always a hoot with these games; Jamestown wouldn’t have been the same for me without it.